What is the benchmark for a “good” or “bad” draft? The title of my previous post was pretty simple: “Nats 2014 Draft == failure.” And it resulted in a rather spirited debate in the comments about the 2014 draft, the 2008 draft in hindsight, etc. d. 6th-10th: hope for at least one player to reach the MLB level. Lets go back through all 10 Nats drafts and see whether these guidelines hold up. For each of the 6 requirements, we’ll give a quick “yes/no the condition was met” for each year. Critical to this analysis is the Nats DraftTracker XLS, milb.com and baseball-reference.com for searching for old players. Also useful is the Baseball America executive database, which populated the staff in charge of each draft. Editors Note post-posting: I’ve added in the total known bonus amounts, per suggestion in the comments. Data taken from the Draft Tracker. Actual figures are likely higher because most bonus figures past the 10th round are unknown (but likely minimal). Also per good suggestion, I’m adding in the draft position for context, since its far easier to get a future all-star if picking in the top 5 versus later on. c. Yes: 4th rounder Justin Maxwell turned into a 4th outfielder. No 3rd rounder. e. Yes: 11th rounder John Lannan and 12th rounder Craig Stammen turned into MLBers, far above expectations here. 18th rounder Tim Pahuta had long ML career for us, playing 3 years at AA. f. Yes: 33rd rounder Ryan Butcher was a 6yr MLFA who left the org but now has MLB experience with Atlanta. No other 20th+ round draftees made it out of A-ball, but Butcher’s MLB matriculation makes up for it. 2005: Success, inarguably. 6 guys matriculating to the majors is a winning draft, especially considering the lack of a 2nd or 3rd round pick, the ownership confusion, and the budget restrictions put on the team. a. No: 1st rounder Chris Marrero looks like a 4-a guy at best and 1st rounder Colten Willems never made it above A-ball. b. No: the team failed to sign 2nd rounder Sean Black and 2nd rounder Stephen Englund never made it out of low-A. c. No: none of their 3rd-5th picks made the majors. The highest one of these guys got was 5th rounder Corey VanAllen, who did pitch in AAA after passing through the rule-5 draft and finished out his 6-years with the org. VanAllen is in Indy ball in 2014.
d. No: they didn’t even sign their 7th, 9th or 10th round picks. The closest they got to a MLBer here was 6th rounder Zech Zinicola, who played at AAA for quite a while, was rule-5 picked and returned, and now sits in Baltimore’s AA team. e. Yes: 12th rounder Cole Kimball made it the majors briefly, while 17th rounder Erik Arnesen, 18th rounder Adam Carr and 13th rounder Hassan Pena all toiled in AAA for several years. f. Yes, sort of. We’re all well aware of the success of 41st rounder Brad Peacock, but he was picked under the “draft-and-follow” system that no longer exists. So while yes it was a 41st round pick, in our current system Peacock wouldn’t have been picked at all and/or wouldn’t have signed but would have been picked the subsequent year based on his great first-college juco season. Of the rest of the 20th+ round picks, one guy had a couple months in AA (26th rounder Brett Logan) to serve as a backup catcher; he hit .102/.170/.122 in 20 games in 2007 and was released. 2006: Failure: 3 guys who have MLB appearances but near zero impact for this team. Peacock enabled the Nats to get Gio Gonzalez but I think we see now that Peacock wasn’t the driving prospect in that deal (now that Derek Norris has made an all-star team). For as much as went right for the team in the 2005 draft, it went wrong in 2006. Was the lack of signing their 7th, 9th and 10th round picks evident of “fiscal restraint” demanded by the other 29 owners? Clearly to me, the focus on HS drafted personnel in this draft has Bowden’s hands all over it, and almost none of them panned out in the slightest. a. No: The team went one-for-three on its first rounders: Michael Burgess got to AA in his fourth pro season but never further, was flipped for Tom Gorzelanny. Josh Smoker‘s failure has been well documented here. But Ross Detwiler, for all the complaining about his usage and role in this space, did make the majors and looked like a good 4th starter (in 2012). I still believe he could start in this league and is better than a long-man. However, the condition is that a first round pick turns into a successful regular, and this crop failed in all regards. b. Yes. 2nd rounder Jordan Zimmermann is now a 2-time all-star and is probably the best 2nd round pick the organization has ever had. His successes make up for their other 2nd rounder Jake Smolinksi who has made his MLB debut but not until he became a 6-yr MLFA. c. Yes. 4th rounder Derek Norris made the 2014 all-star team for Oakland. 3rd rounder Stephen Souza has debuted in the majors and looks quite promising (albeit blocked) for our AAA team. 5th rounder Brad Meyers toiled for us in AAA for years before being released this spring after a long injury recovery. d. Yes: 10th round pick Patrick McCoy made it to AAA for us, signed with Detroit as a MLFA and debuted this year. We should note for the record though that 6th rounder Jack McGeary was paid as if he was a low-1st rounder and failed pretty spectacularly here. e. Yes: 20th rounder Jeff Mandel was a long-serving org arm at AA and AAA. 11th rounder Bill Rhinehart was looking like a find, appearning on Nats system prospect lists for a while and getting to AAA before getting flipped for Jonny Gomes. f. Yes: 28th rounder Boomer Whiting made it to Syracuse before getting released in 2011. 48th rounder (!) Kyle Gunderson was flipped for Logan Kensing in 2009 and made it to Miami/Florida’s AAA squad before getting released. 2007: Success: despite the 1st round failures and the McGeary disaster, the breadth of success in the other categories and the production of the remaining guys weighs out. a. No: as is well documented, the Nats failed to sign 1st round pick Aaron Crow. b. No/Inc: 2nd round pick Destin Hood has already passed through Rule-5 waivers once, but has found himself in 2014 and is hitting great for Syracuse (2014’s AAA line: .308/.353/.502). It does make one wonder if he’s worth adding to the 40-man once the season is over to keep him; he’s finishing his 7th pro year and is in line for minor league free agency. 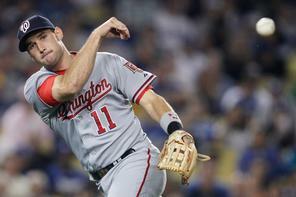 c. Yes: 3rd rounder Danny Espinosa has his critics, but he’s at least a MLB backup or possibly more. 5th rounder Adrian Nieto has stuck with the White Sox after getting plucked in the Rule-5 draft last year and hasn’t been half bad. d. Yes: 10th rounder Tommy Milone has shown his capabilities as a MLB starter. d. 6th-10th: hope for at least one player to reach the MLB level. 6th rounder Paul Demny remains in the system (on the D/L in Harrisburg) but doesn’t seem like he’ll go much higher at this point. e. Yes: 16th rounder Tyler Moore has put in meaningful at-bats for the Nats for a few years now. And 19th rounder Steve Lombardozzi looks to be a solid utility/backup infielder in this league for years. Lastly I wonder if the team gave up on 15th rounder J.P. Ramirez too soon; he was paid like a 2nd round pick but was released prior to his MLFA period. He may have only made it to high-A, but his last season was somewhat decent. f. No: as far as I can tell, nobody of note came in rounds 20 or above from this draft. 2008: Failure: How would you judge this draft? We failed to sign the first rounder, which for me is a huge negative. The second rounder may or may not ever debut in the majors, which is also for me a huge negative because of the huge prevalence of 1st and 2nd rounders on MLB rosters. But we got four (5 counting Nieto) other MLBers out of the rest of the draft, including some very deep-dive picks that you rarely find (Moore and Lombardozzi, aside from Peacock, are the two lowest round picks to ever make it to the majors for this team). a. Yes: no arguing about either first round pick here: both Stephen Strasburg and Drew Storen have pitched at all-star levels in their careers. b. No: 2nd Rounder Jeff Kobernus may have made his MLB debut, but he’s nowhere close to being a “regular” in the majors right now and doens’t seem to be trending that way either. c. No: 3rd round pick Trevor Holder was a gross over-draft (albeit with known reasons; the team committed an *awful* lot of money to the first two guys on this list) and was released in 2013. 4th rounder A.J. Morris looked quite promising for us, was flipped in the Gorzelanny deal, and this year is pitching effectively for Pittsburgh’s AAA squad after being taken in the minor league Rule-5 portion last off-season. And the Nats failed to sign their 5th rounder. So even if Morris pans out as a MLB-capable player, he’s doing it for someone else. d. Yes: 9th round pick Taylor Jordan was effective for the team last year and may yet figure in the team’s plans despite his mysterious D/L trip right now. And 6th round pick Michael Taylor has rocketed up the prospect lists for this team, is crushing AA pitching right now, is on the team’s 40-man roster and may very well get a look as 2015’s starting center fielder. e. Yes: 12th rounder Nathan Karns made the org look quite intelligent when he gave spot starts in 2013 after rocketing up the farm system after finally recovering from arm issues. I wonder if the success they had with Karns was the first impetus for Rizzo to take more gambles on high-end-but-injured arms. 13th rounder Patrick Lehman has bounced around as an org arm for years. 11th rounder Juston Bloxom played a couple years in AA before getting released this year. 16th rounder Sean Nicol is splitting time between AA and AAA this year. Finally, I wanted to note something I never knew before studying this: the Nats drafted Marcus Strohman in the 18th round out of HS; this is the same Strohman who went in the first round three years later to Toronto and who is currently holding down a rotation spot for the playoff-pushing Blue Jays. Wow. He’s listed as a SS on the draft-tracker but clearly is a MLB-calibre starter. f. Yes: 22nd rounder Danny Rosenbaum has been Syracuse’s “ace” for three seasons now. And a slew of guys drafted in the 20s stuck around for years as middle relievers (Mitchell Clegg, Matt Swynenberg, Evan Bronson, Rob Wort, and Shane McCatty). You just can’t ask for more out of your picks in rounds 20-30. 2009: Success: I’ll take a couple of misses in the 2nd and 3rd rounds given the amount of talent they picked up in the middle and late rounds. Great draft. 6 guys who have debuted in the majors with at least another one likely coming soon. Note: from 2010 onwards, most of the judgement calls are still “in progress.” We’ll use projections and “small sample sizes” to pass judgement. It is what it is. Feel free to criticize in the comments about using projections and national pundit scouting reports to make judgements. a. Yes: 1st rounder Bryce Harper has turned into everything the hype suggested. Fun fact; when he went on an rehab assignment in Potomac, he was the 2nd youngest guy on the roster. Remember that when you criticize the guy for not being better than he already is: if he was “playing by the rules,” he’d be jsut finishing his junior year of college. b. No/Inc: 2nd rounder Sammy Solis has been one injury issue after another. He missed all of 2012 with Tommy John, came back slowly in 2013, but now sits on the AA D/L with another “elbow” issue. He was protected on the 40-man roster last fall, but you have to wonder what’s to come of him. He’s finishing his 5th pro season and he’s got exactly one start above A-Ball. c. Yes/Inc: 4th rounder A.J. Cole was paid like a late first rounder, and after some struggles he’s really come onto the scene this year. He was already really young for AA and “solved” it, and is now in AAA holding his own. The other guys in this category are less impressive: both Rick Hague and Jason Martinson are repeating AA and not really hitting well enough to push for promotions. This could be a side-effect of the huge amount of money committed to Harper and Cole. d. Yes: 9th round pick Aaron Barrett went from unknown/unrecognized prospect to the Nats 40-man roster last fall to being lights-out middle reliever in the major league pen this year. As a 9th round college senior pick. 8th rounder Matthew Grace may be next; after toiling as a mediocre starter, he became a reliever in 2013 and has been lights out in AA and AAA this year. And he’s not just a LOOGY: 56 IP in 33 appearances and he’s given up just 6 ER in that time. e. Yes: 15th round pick David Freitas, after getting traded to Oakland for Kurt Suzuki, got traded again to Baltimore and now is in AAA. 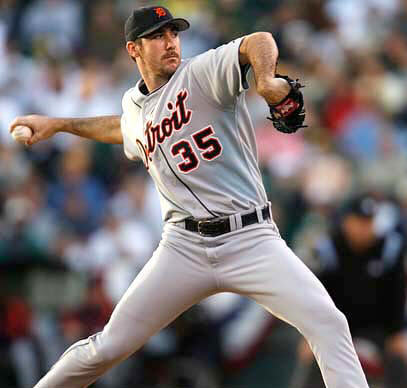 12th round pick Robbie Ray has made his MLB debut for Detroit after going over in the Doug Fister deal. 11th rounder Neil Holland toils in the Harrisburg pen admirably. f. Yes: 23rd rounder Colin Bates and 26th rounder Christopher Manno both are in the Harrisburg pen. 22nd rounder Cameron Selik made it to AA before hitting his ceiling and being released earlier this year. And 32nd rounder Randolph Oduber is a starting OF in Potomac with decent splits and a shot of moving up. 2010: Success: It may have been a no-brainer to take Harper, and it may have been an example of the “checkbook” winning in their picks of Cole and Ray, but you have to hand it to this team; they bought two high-end prep guys out of their college and they’re both looking like huge successes. And they got a MLB servicable reliever out of a college senior sign who they paid just $35,000 in bonus money. Great work. a. Yes: 1st rounder Anthony Rendon was on everyone’s “all star snub” lists this year, while their other 1st rounder Alex Meyer remains one of the top pitching prospects in the game and seems likely to debut later this year. Their supp-1st rounder Brian Goodwin remains on every pundit’s prospect lists even if he seemingly has been passed on the organizational “future starting Center-fielder” depth chart. There’s no chance the team leaves him exposed in the upcoming rule-5 draft, so he’ll have at least three more years to prove he belongs. b. n/a: forfeited for Adam LaRoche signing. c. No/Inc: Right now our 3rd through 5th picks are looking iffy; 4th rounder Matthew Purke was paid like an upper first rounder and has been a massive disappointment. Right now he’s recovering from Tommy John and faces an uncertain future. 4th rounder Kylin Turnbull has gotten lit up in high-A this year, his second crack at the league. 5th rounder Matt Skole may be the most promising of the bunch; he crushed 27 homers in his first season of full-season ball only to miss all of 2013 because of a freak injury. Can Skole continue developing and make the majors on a full-time basis? Can Purke at this point? d. Yes: With the call-up of 6th rounder Taylor Hill earlier this year, this category is met. Which is good because the rest of the 6th-10th rounders from this year are struggling. Two are already released/retired, one is MIA and the lone remaining active player (Brian Dupra) is struggling as a starter/swing-man in AA. But Hill is a huge win; a college senior draftee on minimal bonus rocketing through the minors and forcing his way onto the 25-man roster. e. Yes/Inc: It is far too early to fully judge this category, but it is looking promising despite the fact that the team failed to sign SIX of its ten picks beween the 11th and 20th round. 11th rounder Caleb Ramsey is already in AA. 16th rounder Deion Williams is on the mound (not a SS as in the Draft Tracker) and is struggling in short-A. 18th rounder Nick Lee is struggling in Potomac this year but has shown a huge arm and seems like he’ll eventually convert to loogy (especially considering his undersized stature); I can see Lee making it far as a matchup lefty reliever with swing-and-miss stuff. The lone failure at this point is 12th rounder Blake Monar, sort of inexplicably released after a decent 2012 season in Short-A. f. Yes: 30th round pick Bryan Harper earned his way to Harrisburg. 45th round college senior pick Richie Mirowski also made it to AA, where he wasn’t half bad last year, though at the moment he’s back in Potomac. And there’s three other players drafted in the 20th or higher who are active on Potomac’s roster this year and who may get moved up. Decent production out of the bottom of this draft so far. 2011: Projected Success: As discussed before, I believe the selection of Rendon was a “no-brainer” based on a unique set of circumstances that occured on draft day, but credit the management team for having the stones to pick him when other GMs didn’t. I’m sure the Mariners (especially) would like a re-do on that draft (they picked 2nd overall, got soft-tossing local product Danny Hultzen, who was sidelined last year with all sorts of shoulder issues and is no sure bet to ever make it back. They rolled the dice with Purke and so far seem to be losing, but Purke was himself a 1-1 talent at one point (remember, he had his $4M+ deal with Texas pulled thanks to MLB-stewardship at the time) and was probably worth the risk. I’d like to see Skole reach the majors in some capacity before declaring this draft a full success. Note: from here onwards, everything is a projection and is based on scouting the stat lines. I’m going to sound negative where others sound positive and vice versa. Hey, its better than writing nothing. a. Yes/inc: 1st rounder Lucas Giolito (so far) has shown himself to be at full speed post TJ surgery and is mostly in the top 10-15 of every professional scouting pundit’s list for best prospect in the entirety of the minors. He’s got a #1 starter ceiling, a huge frame and three plus pitches. He’s projecting to be everything you’d hope for from an upper first rounder. b. No/inc: It is hard to squint at 2nd rounder Tony Renda at this point and project him as a future “MLB regular.” Sure he’s hitting .297 in Potomac, and sure his numbers at the plate have not varied much in his three pro seasons. Unfortunately he’s vastly undersized and he has no power in a time where pro middle infielders are expected to provide serious pop. Maybe he can forge a career like Jamey Carroll or like a Jose Altuve, but the odds are against him. I don’t mean to discount the guy because he’s 5’8″ but we all know there’s a significant bias in the industry towards undersized guys. Heck, a pitcher is considered “short” if he isn’t 6’2″ these days. c. No/inc: So far the guys picked 3rd-5th are also struggling. 3rd rounder Brett Mooneyham‘s struggles are well documented here. 4th rounder Brandon Miller continues to show great power but has missed much of this season with a hamstring injury (he’s on rehab in the GCL as we speak). Lastly 5th rounder Spencer Keiboom suffered a blown UCL that basically cost him the whole 2013 season. He’s got great numbers in low-A this year but is two years too old for the league. Keiboom’s talents more centered on his defense than his bat, so he may still push forward as a future backup catcher. But until he does, this category falls in the “no” side. d. Maybe/inc: The leading hope for some MLB success out of our 6th-10th round picks right now resides in one of two middle relievers: 7th round pick Robert Benincasa or 9th round pick Derek Self. You never know; one of these guys could turn into the next Aaron Barrett. 8th round SS Stephen Perez made the all-star team this year in Potomac and could feature as a future utility infielder. The team has already released its 6th round pick Hayden Jennings, and their 10th rounder (local Rockville product Craig Manual) was a college senior catcher who is backing up other catchers in the system for the time being). He may continue to hang around but unless he gets a starting gig he’s going to get replaced by someone newer. e. Yes/inc: 17th rounder Blake Schwartz has already made it to AA, where he struggled and he now sits back in Potomac (where he was great last year, go figure). 11th rounder Brian Rauh got a spot-start in AA last year but has bounced in and out of the Potomac rotation this year. 16th rounder Ronald Pena is working his way off injury but faces a long road to move up thanks to a lack of swing-and-miss stuff. The team has already released four of its 11th-20th round picks; the remaining out-field players (12th rounder Carlos Lopez and 19th rounder Bryan Lippincott) both seem to face long odds as college senior draftees still residing in the low minors to even make it up to AA at this point. To be fair, Lopez missed most of 2013 with an unknown injury, so we’ll give him a slight pass. Lippincott sits in XST right now. f. No/inc: 33rd rounder Mike McQuillan has hung around and currently serves as a utility guy/bench player for Potomac. A couple of relievers remain on squads: 29th rounder Leonard Hollins is hurt but is on a full-season squad, and 30th rounder Robert Orlan was with Hagerstown to start the season but is back in Auburn. The rest of the 20th round and up guys features carnage; eight college senior draftees already released to go along with 10 unsigned (mostly high schoolers) picks in the later rounds. One unsigned pick looks interesting; all-american freshman UNC player Skye Bolt may be a big-time 2015 draft pick. But otherwise, I’m predicting that we dont’ get even a AA player out of the last 20 rounds of this draft at this point. 2012: Projected Failure: Frankly, this is looking like it may be a one player draft. At this point, I don’t think you can look at *any* other player in this draft and project even a bench/fringe 25-man roster guy besides Giolito. Now ask yourself: if Giolito fulfills expectations and becomes an “ace,” a top 15-20 arm in the majors while the rest of this draft basically becomes high-A and AA filler, does that change your opinion of the draft success/failure? a. n/a: No 2013 first rounder thanks to the supurfluous signing of Rafael Soriano. As noted at the time, the Nats missed out on players like Sean Manaea, Ryan Stanek or Ian Clarkin, all of whom were available at the time of their lost 1st rounder. Manaea in particular has flourished, rising up prospect list charts and sporting a healthy K/9 rate in high-A this year. I’d like to call this in and among itself a failure (given my reservations about paying for saves in general), but have to admit that Soriano has been pretty durn good this year. b. No/inc: 2nd rounder Jake Johansen thus far has not lived up to advance billing in his first year in full-season ball. He’s averaging just 4.5 innings per outing and sports a 5.00 ERA and less than a K/inning. I can understand the difficult adjustment to pro ball, but I don’t get how his vaunted velocity and size combination aren’t resulting in more swing-and-miss. He’s given no indication that he can avoid what scouts have been saying all along (that he’s destined for the bullpen), he’s way too wild and way too hittable. c. Yes/inc: the Nats collection of 3rd rounder Drew Ward, 4th rounder Nick Pivetta and now especially 5th rounder Austin Voth are making this management team look very smart. All Voth has done since forcing his promotion to High-A is give up 10 hits and ONE earned run in 33 innings over five starts. That’s just ridiculous. And he’s doing it while maintaining a 36/5 K/BB ratio. There’s zero reason for him to still be in Potomac at this point. I don’t know what Voth’s ceiling is, but its getting pushed. d. No/inc: Thanks to the new CBA’s rules, most 6th-10th rounders are throw-away/college senior picks these days. So it’ll be awfully hard to depend on one of them turning into a 25-man roster guy. The best bet out of this draft will be having either 6th rounder Cody Gunter or 7th rounder James Yezzo eventually matriculating to the majors. The other guys in this category were 15k bonus college seniors, one of whom (9th rounder Jake Joyce has *already* been released). Do we think either Gunter or Yezzo projects as a major leaguer? Not right now: Gunter’s struggling in short-A for the 2nd year in a row and Yezzo is an undersized 1B showing little power. e. Maybe/inc: Right now the pickings for the guys taken 11th-20th look pretty slim too. Three were senior signs who have already been released and we failed to sign our 16th round pick Willie Allen (though can’t fault the Nats for that: doing research on him for last year’s draft review showed all sorts of inconsistencies with him, including whether he’s even still playing baseball in college). But 11th rounder John Simms is looking like a great find; he’s already in the AA rotation and holding his own (though you could argue it was out of need, not performance). Among those left, 10th rounder Brandon Middleton and 15th rounder Isaac Ballou are starting and playing well in Hagerstown, 12th rounder Andrew Cooper is strugging in low-A, 13th rounder John Costa has yet to debut for the team thanks to TJ surgery, and 17th rounder Geoffrey Perrott was a senior catcher who got a grand total of 13 at-bats in 2013 and has remained in XST so far thisyear, perhaps to serve as a bullpen catcher for others remaining in Viera and perhaps because he was hurt most of last year and may still be recovering. If Simms continues to rise and we get a couple more longer-lasting prospects out of this crew, we’ll convert this to a success. f. Maybe/Inc: The Nats picked seven college seniors in the 21st round or above and so far they’re all with Hagerstown. Middle infielders Cody Dent (22nd rounder) and Willie Medina (31st rounder) both hit in the .220s last year, are hitting in the .220s (or worse) this year, and seem like they may not last the season. However the pitchers in this bunch are looking better and better. 28th rounder Joey Webb has a 2.53 ERA, 30th rounder Ryan Ullmann has as 3.10 ERA and got a high-A up-and-back call-up, and 34th rounder Jake Walsh dominated Low-A and earned a call-up to Potomac. Only 29th rounder Michael Sylvestri seems to be in trouble among these senior signs; after struggling in Short-A last year, he gave up a ton of runs in 6 mid-relief outings and is currently in re-assignment purgatory. What of the non senior-signs? 24th round pick Matthew Derosier is struggling in short-A and 23rd round outfielder Garrett Gordon seems like he’s a bench player in Auburn. But a revelation may be 25th round prep draft pick Travis Ott. He holds a 2.10 ERA through 6 starts in Auburn despite being quite young for the league. So, the trend seems good that we’ll get value out of the bottom part of this draft. 2013: Projected Failure: Sorry to say; no first rounder, a middle reliever out of your 2nd rounder, perhaps a 5th starter out of the 3-5 rounds, and some org filler from the bottom of the draft? How many players from this draft do you realistically project to make the majors? 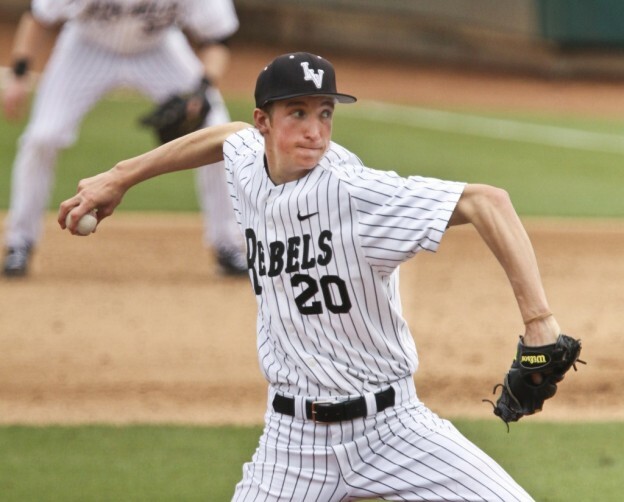 a. Maybe/inc: 1st rounder Erick Fedde may project as a MLB rotation guy, but he’s not projecting as an ace level arm. So if he comes back from surgery 100%, if he keeps moving up the chain, if he makes the majors and if he has an impact we’ll give this a yes. Lots of ifs. b. n/a: we failed to sign our 2nd rounder Andrew Suarez. c. Maybe/inc: The hopes here fall on 3rd rounder Jakson Reetz and 4th rounder Robbie Dickey, since our 5th rounder was a senior lefty out of non-baseball powerhouse Duke. How do we dream on Reetz and Dickey? Maybe Reetz turns into our next Derek Norris while Dickey turns into the next Austin Voth. Lets hope so, because both so far have had rather inauspicious starts in the GCL (Reetz batting .220 and Dickey posting an ERA in the 12s). To be fair Reetz is a kid and Dickey isn’t much older, so we have a long way to go before passing true judgement. d. No/inc: We failed to sign the 8th round pick Austin Byler (and from reading the tea leaves, it didn’t seem like we were ever even close). Our 7th, 8th and 10th round picks were low-bonus college seniors with little hope of advancing. So this category falls squarely on the shoulders of 6th rounder Austin Williams, who looks ok so far in Short-A. e. Far too Early: most of these guys who did sign are 15 games into short seasons. f. Far too Early: most of these guys who did sign are 15 games into short seasons. 2014: Not promising: An injured first rounder, no 2nd rounder, really just a handful of non senior-signs elsewhere in the draft. As I opined in the previous post discussion, I just don’t like the looks of this class. So. 5200 words later, I think I actually like my guidelines. I think though that the new CBA forces teams into making a bunch of “throw-away” picks in the 6th-10th rounds, so my criteria needs to be adjusted downward for that category in the last few years. Otherwise I think it holds. Editor’s Post-posting thoughts. Based on the analysis above, the franchise has 5 successes and 5 failures (or projected failures) in ten drafts. After up and down drafts the first four years, we had three straight successes in 2009-2011, but now I feel like we’ve had three successive failures from 2012 onwards. Here’s a sobering thought about those successes and failures: lets talk about bonus money spent. In the 5 drafts I call successes, the team spent (chronologically): $3,990,500, $7,619,300, $18,806,000, $11,413,200 and $11,325,000 in bonus money. See a pattern? With the exception of the unbelievable 2005 draft, the Nats have had successes when spending big money and failures when they don’t. Maybe its just that simple. Era 1: 2005-2008: MLB hamstrung budgets and Lerner penny pinching era. 2 successes, 2 failures. Era 3: 2012-present: the new CBA spells out draconian draft bonus policies. 3 failures. Era 1 may be just the way it used to go; sometimes you’d get wins in the draft, other times you’d strike out. Era 2 was the glory years of Nats drafting, though the cynic may point out that picking three consensus 1-1 talents and spending 8 figures in bonus money wasn’t that hard. Era 3 is more troubling: why has this management team not done better in the CBA/limited bonus era? How good is an “All Virginia” team? Using mostly the handy Baseball-reference pages, I looked up players who were either born in Virginia, went to a Virginia-based high school, or played baseball at one of Virginia’s universities. There’s also the fantastic Baseball Cube website (www.thebaseballcube.com) that has very in-depth player databases searchable by high schools that shows every player on a professional or NCAA team by school, which sometimes has better records than B-R.com. The players here had to be active in the Majors in 2012, though as it turned out there’s enough guys with Virginia ties to make a full starting team. Feedback is welcome. Ok, so we’re a little weak up the middle. Zimmerman played SS in college but I can’t find a legitimate shortstop out there. Rhymes was just signed by the Nats to a minor league deal and isn’t likely to make the opening day 25-man roster save for injury. Inge hasn’t caught regularly in a few years. But how about the hitting prowness of this lineup? BJ Upton-Cuddyer-Zimmerman-Wright-Justin Upton-Reynolds is a pretty powerful group. Coincidentally, I put in Kratz because I find it amazing that someone who played baseball at Eastern Mennonite is actually in the big leagues. By B-R’s records, he’s the SOLE alumni of that university to have ever even played professional baseball. Backup starters: Danny Hultzen (born and raised in Bethesda, college at UVA); an exception to my “active in 2012” rule but clearly the most high-profile tied-to-Virginia prospect in the game right now. John Maine (born in Fredericksburg, HS in Stafford) had a decent stint starting for the Mets, but he’s yet to get back to the majors after a shoulder surgery in 2010). A pretty good 1-2 punch, including arguably the best pitcher in the game. Hudson has some potential. Saunders is more of an innings eater lefty, but he’s made a pretty good career for himself already. Stauffer had elbow surgery in August 2012 and probably isn’t ready for opening day, but he’s the best I could find. Backup Relievers: BJ Rosenberg (born in Newport News), Jeremy Jeffress (born and HS in South Boston), Clay Rapada (born in Portsmouth, HS in Chesapeake, college at Virginia State). Seth Greisinger (McLean and UVA) as an honorable mention. Not bad depth here; I suppose Marshall could close, Bray be the loogy, Camp be an 8th inning guy, Eppley a 7th inning type and the rest be middle men. I like how Sean Camp was born, raised, went to high school and played baseball in college without ever leaving Fairfax. What’s the best producing college in Virginia? Pretty easily its UVA, with 117 pro players in B-R’s database and 30 guys reaching the majors. Virginia Tech, ODU, Richmond and VCU are all grouped a bit behind UVA in terms of pro player development. Amazingly little Liberty University has matriculated 59 players to the pro ranks. At current, UVA has 6 active alumni in the majors. 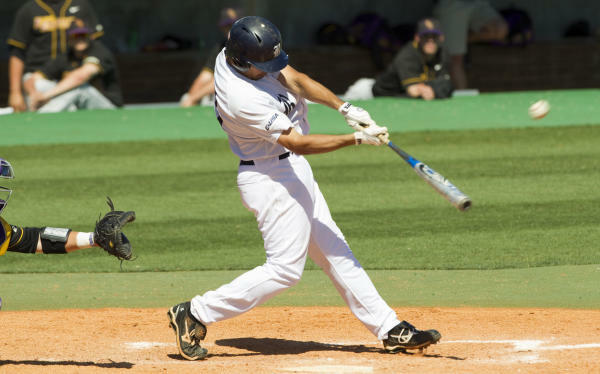 William & Mary, ODU and Richmond have 2 each, and a slew of lesser baseball-playing universities have one each (all of which are mentioned above). What’s the best producing High School in Virginia? Pretty clearly the high schools in the Virginia Beach/Chesapeake area have been producing some serious baseball talent lately, but even the Upton brothers ended up going to different high schools. Both Virginia HS in Bristol and First Colonial HS in Virginia Beach list 8 pro player alumni with 2 pros each. Closer to home in Northern Virginia: Garfield has 7 total players with Pro experience in the database, 3 of which have MLB experience. Robinson HS in Fairfax has 6 pros/3 MLB experience. Fairfax HS also has the same; 6 pros, 3 with MLB experience. Of course, these numbers pale in comparison to some of the baseball factories in the major baseball-producing states Florida and California. Hillsborough HS in Tampa boasts 41 pro alumni and 10 with MLB experience, including Gary Sheffield, Dwight Gooden, Carl Everett and our own Elijah Dukes. Lakewood HS in Orange county has 57 pro alumni and 12 MLB experienced players, though not nearly of the name quality of Hillsborough’s graduates. Sarasota HS in Florida also boasts 57 pro player alumni, 14 MLB pros including our own Ian Desmond. There’s a HS in Oakland called McClymonds that has two Hall of Fame alumni (Frank Robinson and Ernie Lombardi), a host of other famous names from 60s and 70s but which hasn’t generated a pro player since the mid 1970s. Lastly Polytechnic HS in Long Beach has 47 pro alumni but an astonishing 18 guys with MLB experience, headlined by Hall of Famer Tony Gwynn and possibly future hall of famer Chase Utley. Who is the Greatest player to have Virginia Roots? You could make arguments for Verlander, Wright, Zimmerman or the Upton brothers (probably in that order), but how about one Lou Whitaker, born in Brooklyn but somehow ended up matriculating from HS in Martinsville, Virginia, where he was drafted in the 5th round by Detroit. Billy Wagner (born in Tannersville, HS in Tazewell and college at Ferrum) is another guy from Virginia with a long, successful career. Long-time Oriole Al Bumbry was born in Fredericksburg, went to HS in King George and attended Virginia State. However, there’s only one Hall of Famer with Virginia Roots that I can find: Eppa Rixley, born in Culpeper, HS in Charlottesville and he pitched for UVA before being signed as a free agent by Philadelphia. He ended up pitching 21 years in the majors and was selected to the Hall of Fame by the Veteran’s committee in 1963 shortly after he died. (Post publishing note: in 2015 an enterprising blogger at the hallofverygood.com put together a list of the “best baseball player” from each of the 68 teams to make the *basketball* March Madness tournament, and for the Virginia schools he mentioned Rixley as well as others. A fun read). (Editor’s Note: you may feel free to stop reading now; Below here is all pretty obscure stuff and only probably interesting to myself and my dad, or people who happen to grow up in the area and are familiar with Vienna baseball. In fact, I kind of got into a rat-hole of reminiscing for this section, thinking back to the good old days. I won’t be offended :-). My Personal experiences growing up and playing in Northern Virginia: I played Vienna youth leagues from 1977 til 1989, played in Vienna Babe Ruth and graduated from James Madison HS in Vienna in 1989 for reference. The best player from Northern Virginia in my youth experiences was one Pete Schourek, who was two years older than me and graduated from Marshall HS in 1987. An enduring memory from my youth was watching Schourek blast a home-run to the townhouses beyond the RF fence at Marshall against Mike Nielsen (the ace of my own high school) in 1987. Schourek turned down a scholarship offer to Auburn and took 2nd round bonus money from the Mets. Schourek’s career lasted 10 years in the majors and his best season was an 18-7 year that resulted in a 2nd place Cy Young finish. The word at the time was that the Dodgers wanted to draft him as a hitter; his power from the left-hand side was quite superior. I often wonder if his would have made it as a hitting prospect; he had such natural lefty power in high school. (Click here for the Connection’s Schourek profile in their “top 100 athletes” series from 2000). A.J. Hernandez, who was the star of the local Herndon/Reston/McLean Babe Ruth all-star teams that had Vienna’s number year after year in the late 80s. He played one year of low-A ball. David Carroll, a tall, rangy left-hander who dominated Chantilly baseball for years. He was a 6th round pick in 1991 and made it to AAA before washing out. We played against Carroll’s teams in the Credit Union in the early 90s. Lonnie Goldberg, who was on the same HS team as Schourek at one point; played at George Mason, drafted in the later rounds and played 5 seasons of minor league ball. Bill Pulsipher, who was a dominant player in the area and was drafted in the 2nd Round by the Mets in 1991 out of Fairfax HS. He made the Mets rotation by age 21 and looked decent before getting injured and spending the rest of his MLB career struggling in the bullpen. His b-r.com page shows his drive; he was still playing professaional Indy ball as late as 2011. (Pulsipher Connection profile from 2000). His 1991 Fairfax HS team also had one Brian Buchanan, who was a 1st round draft pick after attending UVA and played 5 years in the majors. Imagine; one high school team with a 1st and a 2nd round draft pick in this area. Amazingly Fairfax HS didn’t win anything more than its District during this time. Robin Jennings: a 1990 graduate of Annandale who did a year of community college and the got drafted under the old Draft-and-Follow rules by the Cubs. He played in parts of four major league seasons spread across 12 minor league seasons, including his last minor league season with the Washington organization in 2007 at the age of 35, fully 4 years after last appearing in a uniform. I can’t specifically recall playing against Jennings like I can recall playing against these other guys though. Maybe in fall ball. (post-publishing edit thanks to Tom Davis in the comments): Robinson slugger Steve Dunn. He absolutely deserves to be on this list somewhere. https://en.wikipedia.org/wiki/Steve_Dunn_(1990s_first_baseman). 1988 Robinson graduate, 4th round pick by Minnesota, he played parts of two seasons in 94 and 95. The Twins released him, he played one more AAA season for Cleveland (putting up decent numbers) but either quit or was released and not picked up again. Goldberg and Schourek, along with Marshall’s #2 pitcher Steve Makranczy led Marshall to back-to-back state championship games in the late 80s. Steve played on a number of fall teams with me and still plays in the local DCMSBL league. Schourek still suits up for teams in the Industrial League, and according to a couple of random friends, plays in an ultra-competitive basketball league along side other former Division 1 players in the area. Speaking of my own HS of the time; I was always amazed we didn’t fare better. Thinking back to 1988, my HS started an entire team of guys who either went pro or played division 1 somewhere. The 3 leading pitchers played at Radford, BYU and GMU respectively, our starting catcher went to BYU. Our 1B played at William & Mary. Our middle infield combo both played at UVA. Our 3rd baseman was a full ride player at NC State. In the OF, one guy played at GMU and went pro, another guy played at Montgomery College. That’s a LOT of talent on one HS team for this area, and they never advanced in the Regional tournament. The best local player of my draft year (1989) was a fellow by the name of Doug Newstrom, born in Quantico and who went to HS at W.T. Woodson in Fairfax. He went to Arizona State and was a 7th round pick after his Junior year but never made the big leagues. Newstrom was the cornerstone of a Woodson team that went undefeated in 1989 and won the state championship (they also won in 1990). My personal experience playing against Newstrom; the fall-league baseball teams of that time period were essentially city-specific all-star teams of the guys who didn’t play football, and the competition was great. The Woodson varsity team to-be in the spring of 1989 got all their guys together to get a “test run” of their team and they romped to the fall league 16-18yr old championship game. Our Vienna-based team was a rag-tag collection of guys who attended Madison, Marshall, Oakton, Paul VI and O’Connell but who had Vienna zip codes, but we were good and we also reached the championship game. It was on a cold November day at Falls Church High School. We faced off against Woodson’s ace (Mark Bauch, the same guy who would go 13-0 the following spring en route to the Virginia State championship) and promptly knocked him out in the first inning without retiring a batter, racing to a 6-0 lead. Our pitcher (Jeff Ford, who attended Oakton and played college ball at a small school somewhere) tried to keep the Woodson team at bay throughout the 7 inning game, but they fought back. In the bottom of the 7th trailing 6-5 and with two outs, the Woodson team put a couple guys on and Newstrom came to bat. Newstrom connected on a towering drive to right field; I thought he had just hit a walk-off homer. Our right fielder (Steve Paasch, another Oakton graduate) reached over the RF fence, jumped and caught the ball for the 3rd out and the championship. It was one of the two or three best games I was ever a part of. Editor Update: my memory apparently failed me: turns out Newstrom was actually a year behind me (he was born just a few months after me but was a school year behind). He led Woodson to a 2nd consecutive VA state title in 1990 before committing to ASU. I got a nice shout-out from one Rob Paine months after this post with a link to this great feature of Newstrom, with a great photo. Best player from my high school Alma Mater (James Madison HS in Vienna): probably one Mike Wallace, who was picked straight out of high school, was in the majors by 22, and out of the majors by 26. Wallace seems like he should have played longer; he was a lefty with decent numbers both in the majors and in his final seasons in the minors. But he was retired at 28. He signed on with MASN as a baseball pundit in 2011. However it is worth mentioning one Jay Franklin, who graduated from Madison HS in 1971 and was the 2nd overall pick in that year’s baseball draft. Its hard to imagine a DC-local kid at this point in the evolution of the draft ever going higher, so Franklin likely holds the title for “highest ever local draft pick” for the forseeable future. He tore up the Northwoods league and earned a call-up to the majors as an 18 year old. I’m guessing he got hurt though, because he missed the entire 1972 season. He appeared in four more minor league years before retiring at age 24, having just reached AAA. Another guy who seems like he should have played longer. Editor addition: thanks to anonymous comment for reminding us about Bobby Brower, whose baseball-reference.com page is missing the fact that he went to Madison HS. He was one heck of an athlete, earning FOUR varsity letters his senior year of HS. He attended Duke University, playing both football and baseball before focusing on hardball. Despite being an All-ACC selection, he went undrafted, got picked up by Texas and eventually fought his way to the major league team. He was traded to the Yankees after a couple years with Texas but struggled for playing time in New York, getting dropped back to AAA where he stayed through 1990. A brief comeback in 1992 went for naught and Brower retired at the age of 32. And I’ll add one Ronnie Slingerman, whose name keeps popping up during research of these early JMHS teams and who remains active in the Vienna baseball community. Btw, the Fairfax Connection news papers featured all three of these players in their “Top 100 local Athletes” series done in the year 2000. Click here for Wallace, here for Franklin and here for Brower‘s bios, all three of which go in to much greater detail than I have here. Baseball-reference.com’s records are somewhat spotty on my high school; they list only 7 pro players and 2 major leaguers from my HS, but we know there are several more with pro experience, just counting guys I’ve directly played with (among others; Chris Burr and Billy Emerson). BaseballCube lists 28 guys in their database, though not all played pro. David Driver with The Vienna Patch did an article on Wallace in October 2012 and discussed several other Madison grads who have made the majors, some of whom are not correctly attributed in B-R.com either. One such player is Jim McNamara, who I’m familiar with because he used to substitute teach while I was attending the high school and he was famous for being manipulated into wasting an entire period talking about his baseball playing days instead of teaching any material. Best player ever from my college Alma Mater (James Madison University): probably one Billy Sample, born and raised in Roanoke and who played at JMU from 1974-1976. He was drafted in the 10th round, played for a decade or so and hung ’em up in 1986. Mike Venafro was born in Takoma Park, went to Paul VI in Fairfax and then JMU before putting together a 7-year career in the majors, retiring back in 2006. JMU is actually a pretty decent baseball school; we’ve made the NCAA tournament 11 times and several times recently, and made the College World Series in 1983 (getting blasted by eventual champion Texas and Stanford for a 2-and-out appearance; the wikipedia page is funny, JMU has no “notable players” listed. Coincidentally; look at some of the talent playing in that tournament: Bonds, Schiraldi, Clemens, Larkin, Sabo, McDowell, Incavilia. Three future Hall of Famers). However I can only find one JMU alumni who appeared in the majors in 2012; the aforementioned Rich Thomas, who appears to be a 4th/5th outfielder. Best player I played with or against post youth/High School: After high school we played in a local amateur league for a year, then put together an entry into the Credit Union, which was a powerful amateur league in the area (which is now part of the Industrial League). After a brief baseball hiatus spent mostly playing softball (there was no 19+ league in DCMSBL at the time; you had to be at least 30 to play in the league for many years), I’ve been playing consistently in the DCMSBL since 1998. In the early 90s, we had a local guy named Kevin Gallaher pitch for us periodically. He had Vienna roots, went to O’Connell and then played at St. Bonaventure (none of which btw is on his baseball-reference page but is on his baseball Cube page). I got to catch Gallaher here and there and he had pretty good stuff. Apparently his stuff got better his senior year at college and he was a non-drafted FA signee. Gallaher made it to AAA before calling it quits at age 29. His next move: to appear on the reality TV show “Married by America” (it didn’t work out: his bride-to-be left him at the alter). In the Credit Union, we played against some serious talent, but I was too young to remember most of them. A couple notable names that I do remember were Steve Norwood, brother of the infamous Buffalo Bills kicker Jeff Norwood, who played alongside his father Del Norwood on the Apple team. Norwood was a local legend, a longtime coach at W&L in Arlington (he won 10 straight district titles in the 60s and 14 overall at the school; the field is named after him) and had to be in his 70s at the time but could still throw a knuckle-ball by the semi-pro calibre players of the Credit Union. Local legend amateur player Pete Groves pitched against us in the league; he now leads the Fedlock teams that have won many national MSBL titles (he supposedly reached AAA but I can’t find any records of him playing pro). We picked up a random guy off a wait list named John Bonfield who had pitched at Yale; he was one of the better pitchers i’ve ever played along side. He could throw 8 different pitches but had a failing for “enforcing the unwritten rules of the game” at the most unideal time. He once purposely hit a guy who he thought was stealing signs with the bases loaded in a close game. In MSBL, the best players I played against didn’t necessarily have direct professional ties. The Gouveia siblings (brothers of former Redskin Kurt Gouveia were feared sluggers in the league). Garland Cooper was competitive against players half his age; he played in the Valley league but never pro. Ira Holland (who played college at Howard and was drafted before returning to school) was probably the most feared hitter in the league in the early 2000s; guys from that era still ask us about him. The ace pitcher of my current team Jason Martino signed out of HS but only played one year of rookie ball before getting set aside by his drafting team. Anyway; if you’ve read this far, I hope you enjoyed my own little personal history of playing ball in this area. Nats continue to talk about a contract extension with Ryan Zimmerman, according to this and other sources. I’m not arguing against re-signing him; in fact he’ll be at a discount by virtue of missing so much time last season and being relatively injury-ridden as of late. The question is whether Zimmerman’s camp would accept anything less than what Troy Tulowitzki got (10/$157M) or Ryan Braun (13/$150M between current and extension contracts) signed. Here’s a case against re-signing him (though to be fair, the same blog posted a “case-for” earlier). Lastly on the topic; this fangraphs.com article looking for a good comparable for Zimmerman based on his production and value (the answer? Matt Kemp‘s 8yr/$160M deal). Nats miss out on Prince Fielder, as he signs a 9yr, $214M deal with Detroit. Quick hit thoughts: Thank god there’s no more rumors about Fielder to the Nats. I wanted him and his bat, but not at that price and for that length. The team dodges an albatross of a contract in a few years time. Lastly; how in the world is Detroit going to manage that payroll? Its not as if that city is an up-and-coming, wealthy place. Makes you wonder just how well-off these baseball owners really are. I guess FA rumors are just meant to be with this team; suddenly we’re in the Roy Oswalt mix. Now, I’ve said in the past that I like this guy and think he’d be a great fit for the team … but that was before we traded the farm for Gio Gonzalez and offered arbitration to John Lannan. I’ll ask a simple question; if we sign Oswalt, who makes way? Last time i checked this team has 5 starters, each signed for 2012 and each with a multi-million dollar commitment. So this rumor doesn’t make any sense any longer. Oswalt makes a ton more sense for a team like Texas or Boston, as is noted in the many columns on the subject posted recently. LOVE the Brad Lidge acquisition. The team needed a middle relief replacement for Todd Coffey and just got one, and for almost no money ($1M base with incentives). He’s struggled with his health, but when he has been healthy he’s been lights out for the last two seasons (not to mention the rest of his career). He can close in a pinch, he can help offload high-leverage innings off of Tyler Clippard. And he can mentor the bullpen guys. Fantastic signing by Mike Rizzo. Nats will play Georgetown U in an exhibition for the 2nd year running. Knowing how weak Georgetown’s program is, I wonder just how badly the scoreline will look (last year’s score was 15-0). MLB daily dish is attempting to replicate the Big Board and throw in contract details at this site here. We’ll see how uptodate this site is kept during the turbulent season of player movement in the minors. 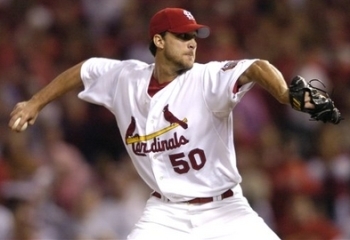 Jamie Moyer signs a minor league deal with Colorado. He sits at 267 wins for his career, so the chances of him getting to 300 are relatively slim, but his chances of making Colorado’s rotation aren’t too bad. Roto World lists their depth chart right now at Chacin, Hammel, Pomeranz, White and Moscoso. Lots of youth there; White and Pomeranz are both 22-23 and were both relatively awful last year. De La Rosa is coming off injury but may not be ready for opening day. He very well could feature for this team in 2012. Yes I know these “top 5 lists” are mostly national columnists fulfilling writing requirements during the slow January baseball news period, but if the Nats are listed, i’ll post it. 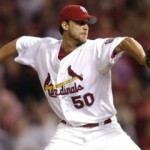 David Schoenfield lists his “Top 5 rotations” in the game and he goes Philly, Angels, Texas, New York and Arizona. I gotta say; i think he’s vastly overrating the Yankees rotation and I think he’s overrating the Arizona crew as well. Arizona’s pitchers were more or less awful in last year’s NLDS; not sure I’d count on them in a pinch. I’d easily put Tampa Bay and San Francisco’s rotations above these two teams, not to mention the possibility of Atlanta’s group gelling and helping that team win 95 games. Marlins apparently ready to sign up for Showtime’s the Franchise, which featured San Francisco last year and was Showtime’s answer to HBO’s Hard Knocks football weekly documentary. The show was great in 2011, showing the human side of many of the Giants players and was a must-watch in my house. Of course, showing Miami could be an interesting endeavor; most of the baseball industry speaks badly about Miami’s ownership and senior management group and these documentary shows usually go to great lengths to humanize and gain empathy for all the participants. Jose Bautista claims to have been “random drug tested” 16 times in the past two years, despite any single player’s chances of being randomly tested only being about 3 times in two years (according to the number of tests MLB is authorized to run versus the number of pro players). As is noted in the link, it looks to me like MLB is taking no more chances with its big home-run hitters. First College top 25 posted by Baseball America (more discussion on each team here), and there’s no surprise who’s #1: Florida by virtue of its absolutely stacked lineup (two first team and two 2nd team pre-season all americans by this publication). No surprise Stanford is #2 behind their presumptive 2012 #1 overall pick Mark Appel, but surprised that Texas and Texas A&M are so low. I think by the time the CWS rolls around we’ll be seeing these teams, plus South Carolina back in the mix behind their returning friday and saturday starters. The great Kevin Goldstein unveils his top 20 Nationals prospects on Baseball Prospectus. We all know who went the other way in the Gio Gonzalez trade; what’s more interesting is who now resides in places 16-20. Clearly he has to struggle to find “prospects” worthy of ranking there, based on his inclusion of Jason Martinson, Matt Skole, Sandy Leon, and David Freitas. Otherwise the top 12 or so reads as expected. MLB’s Jonathan Mayo announces their top 100 for the whole game. Bryce Harper #2 behind Matt Moore; no argument there. Surprised Mike Trout didn’t get more credit. Most scouting pundits consider the big 4 (to include Atlanta’s Julio Teheran) as almost interchangeable. The rest of the top 10 are well known; I’d never heard of #7 Jurickson Profar, a shortstop in Texas’ organization who is really young but really promising. Other thoughts: surprised to see Danny Hultzen so high; I know he was dominant in college but is he slated to be that dominant in the pros? Other Nats/ex-Nats on the list: Anthony Rendon at #27, Brad Peacock at #75, Alex Meyer at #83, Sammy Solis at #86, AJ Cole at #88. No mention of Matthew Purke, but no surprise; he needs to have a healthy, strong season to regain his former 1-1 status. My alma-mater JMU is #1 pre-season CAA baseball. Those of you who know me may know that i’m also a pretty passionate Soccer fan. So here’s a fantastic look at the history of soccer through an “All-time fantasy soccer player draft.” The first round was rather surprising; I know Lionel Messi is a great player now, but he’s got a bit of work before he supplants Pele, Maradona, Ronaldo or even Zidane in my book. Of course, he’s already a 3-time world player of the year at the tender age of 24, so by the time he retires he may very well have 3 more awards. Still, the selections (especially from the non-US based journalists who have a better sense of soccer’s history) are a great read. Speaking of soccer, here’s a Grantland article on the conventional wisdom among most American fans that Soccer is boring. I’ve tired of trying to argue this point with people who have never actually SEEN a live soccer game. I have a good friend, born and bred in Pittsburgh and who is a die hard Steeler’s fan (in other words, the complete anti-thesis of a typical soccer fan) who I drug to a US Men’s national team game at RFK about 15 years ago. He fell in love and now follows the european game with similar gusto as I. I think American sports fans are too impatient, and have been even before the rise of cell-phones, the red-zone channel and highlight shows, to appreciate the beauty of Soccer. They devolve the game, without really having any personal experience watching a big match or seeing one in person, into the common phrase, “how exciting can a 1-0 game be?” I’d say to that; imagine a professional football game where there was no field goals allowed, the end zone was only 24 feet wide and there was a player positioned at that end zone at all times whose sole job it was to stop break away runs and passes. Its simply that much tougher to score. So most soccer fans know that the excitement of the game is the tactics, the breakdown of individual skill of the attacker versus the individual skill of the goalkeeper, and the near miss. Nats top picks verdict: fantastic! I’ve been out of town the past few days (hence the late coming regular rotation reviews). When, while driving home yesterday afternoon, a friend offered to text me the first 6 picks of the MLB draft I said absolutely. Here’s a running set of thoughts (paraphrased from text messages). 1. (Pirates select Gerrit Cole): slight surprise here, but apparently Cole was consensus 1-1 pick in most drafts. 2. (Mariners select Danny Hultzen): Can’t believe Mariners skipped Rendon, and also surprised on the Hultzen pick. 4. (Orioles take Dylan Bundy). hmmmm. If Rendon is there at 6 the Nats have to take him. Surprising draft so far. Where do you play him? Move him to 2b, move Espinosa to short and trade Desmond. Nats looking like they’re on Starling or Meyer now. 5. (Royals take Bubba Starling). Damn. Take Rendon!!! What an amazing opportunity; this is the absolute consensus 1-1 in the 2011 draft for the past couple of years. 6. Nats take Anthony Rendon. Wow! I still can’t quite believe that Rendon fell to us. I thought for sure he was going #2 or #3 overall. Then, to get Alex Meyers at #23 when we were reportedly considering him at #6 is an even bigger steal (if he’s worth what the Nats think he’s worth). Bryan Goodwin at #32 seems to represent good value. Here’s Byron Kerr‘s take. We didn’t have a 2nd rounder (lost to Phillies for Werth), but Nats went very bold with Matt Purke in the 3rd. Scouting pundits love the pick. He’s hurt, but he was also a consensus top 10 pick at one point. Its risky but bold. For a full list of our picks, here’s the Draft Tracker at mlb.com. Also, do a saved search on #Nats tag in twitter. Nats at #6 take … Alex Meyer? Or Trever Bauer? So, the odds are he’s taking a college arm at #6. Lets look at the top college arms available. These are in rough order of their probable draft position. All these pitchers are either college juniors or draft-eligible sophomores. 1. Gerrit Cole, Ucla. Some concerns about his performance this year are knocking him from a consensus 1-1 position to possibly sliding to 5th (if you believe Keith Law‘s mock draft; see below). If he got to the Nats, it’d be a steal. But it comes with some concerns. As in, how does a guy hitting 100mph only have a 9 k/9 rate? Strasburg had comparable stuff and was striking guys out at nearly twice that rate. 2. Danny Hultzen, Uva. Most have him going #3 overall to Arizona, some think Pittsburgh is getting scared off both Cole and Anthony Renden and will take him as a value pick, fast to the majors. Despite his being a local guy, I’m not sure I want him if I’m the Nats. Lefty, solid pitcher, fast to the majors sure. But there’s some stories about his training methods and inflexibility to take coaching that are red flags in my opinion (see Trevor Bauer). There’s also stories about a meddlesome father out and about, though I’d have a hard time that would translate to the pro game. 3. Trevor Bauer, Ucla. Ucla’s “other” starter is actually going before Cole on some draft boards. This, I don’t get. He’s good, and he has a strong arm, but his ridiculous preparation methods and mid-inning throwing is so unorthodox that it may spell doom to whatever organization has to deal with him. If he’s already telling people “don’t draft me if you want to change my preparation” then how will he ever take constructive criticism or coaching? To say nothing of the 150-160pitch outings he’s frequently had this season. He does have a ridiculous 189 Ks in 127 innings this year. Here’s one scouting report on Bauer for your perusal. 4. Alex Meyer, Kentucky. Fangraphs.com scouted and did an extensive report on Meyer, his stuff, and his outlook just this week, reviewing his Florida start. Rizzo likes big body, power arms out of college and Meyer absolutely fits that bill. Here’s a profile at mlbdraftinsider.com. Here’s another at mlb.com by Jonathan Mayo. The major thing that scares me about Meyer is his sudden reversal of fortunes over his first two college seasons. How does a guy have a 7+ era as a sophomore then suddenly start throwing lights out (2.94 era, 110ks in 101 innings) as a junior? Who is the real Meyer? 5. Sonny Gray, Vanderbilt. Good stuff, good results, bad body. Just as with pro quarterbacks, no GM likes to take a sub-6-foot right hander. Most think he’s headed for the bullpen … if so how could you possibly draft him this high? A top5 overall pitcher better have future Ace starter potential. Anyone below this point isn’t going to get past the Nats, since Anthony Rendon probably goes 1st or 2nd and one of the big-time high school prospects (among them possibly Bundy, Starling or Archie Bradley) may go top 5 as well. Of the arms below; if any of them fall to #23 we may snap them up despite really needing bats in the farm system. Jed Bradley, Georgia Tech. Good lefty, good league. Some think he’s top3, others think he’s lasting til the teens. Matt Barnes, UConn. I’m sure he’s a great pitcher but playing in the Big East isn’t exactly like playing in the SEC. Taylor Jungmann, UTexas. Stock is falling. John Stilson, Tamu. lots of K/9 in a good league. Unfortunately he just destroyed his shoulder and probably won’t even be drafted. He’ll be lucky to recover from a SLAP tear. Matthew Purke, TCU. Has had injury concerns all year but has a top-5 talent arm. I’d wonder if the Nats would roll the dice at #23 or possibly in the supplemental round on him. Keith Law posted today (insider only) that his price tag won’t be worth what he has shown this year, and I’m guessing he returns to school for his junior year. More likely he’ll play in the Cape, try to re-gain his mojo and earn his (likely) $6M demand. 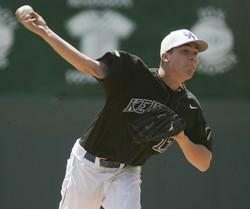 Lots of draft pundits are putting the Nats onto Kentucky right-hander Alex Meyer at the #6 spot. According to some reports, the Nationals were initially targeting him at #23, but a strong 2011 season has him shooting up the draft boards. If not Meyer, a lot of other mock drafts have us on Trevor Bauer, which scares me for reasons mentioned above. Keith Law’s 5/17/11 mock draft: Hultzen-Rendon-Bauer, Nats get Meyer. Unorthodox compared to other mocks and conventional wisdom. Baseball America/Jim Callis 5/13/11 mock draft: Cole-Rendon-Hulzen and Nats on Meyer. More typically what people predict. Baseball America/Jim Callis 5/27 version: some changes. Rendon-Starling-Hultzen, Nats on Bauer. First time we’ve seen Starling this high. ProspectJunkies.com Mock Draft v3.0 5/6/11: Rendon-Cole-Gray with Nats getting Hultzen. I just can’t see Gray going this high. Minorleaguebaseball.com/John Sickels 5/9/11 mock: Rendon-Cole-Hultzen, Nats get Bauer and Meyer falls to 22? Seems like an outlier mock draft. John Sickels’s 2nd mock 5/30/11: Rendon-Cole-Hultzen again, Nats on Bauer again. Scout.com’s initial mock draft 5/19/11: Cole, Bundy, Hulzen, with Rendon falling past the Nats (can’t see that) to #8 and the Nats taking Bauer. mymlbdraft.com 5/24/11 updated mock 1st round: Cole, Rendon, Hultzen with Nats getting Meyer. Seems pretty conventional. mlbdraftinsider.com 5/25/11 Mock v4: Cole, Rendon, Hultzen with Nats getting Meyer again. Yahoo sports’s 5/18/11 mock draft: Rendon, Cole, Hultzen with Nats getting Bauer. Not a mock draft, but here’s Baseball America’s final ranking of its top 200 prospects. Rather disturbingly, they have Meyer ranked #19, lower than nearly every pitcher mentioned above. Not a mock draft, but Yahoo’s Jeff Passan is an excellent writer and has a really nice article about the draft’s biggest names. I think Meyer may end up being an overdraft, but its hard not to fall in love with a big body and a big arm. You can’t teach MPH. Bauer (as Passan says) may be Lincecum 2.0 and certainly has amazing k/9 rates this year, but i’d be afraid of his unconventionalism. Videos of his mechanics aren’t that crazy, and he definitely has a great arm. We’ll see if the Nats go this way or surprise everyone. A slight faltering at the tail end of the season leaves the Nats with the #6 overall pick in next year’s draft. Here’s how the first round will go next year. Pittsburgh was 5-6 games “ahead” for the #1 pick for most of the 2nd half. Seattle’s historically bad offense locks them into the #2 overall pick. Baltimore’s late season surge under Showalter cost them a couple spots but gives the fanbase hope for 2011. Arizona’s unprecedented 2 top 7 picks (the 2nd is compensation for failing to sign Barret Loux after an MRI showed a more significant arm injury than anyone knew) should make for a great draft for them. Houston nearly jumped into the mid-teens by having a scorching August but settled down into the #9 pick, just ahead of San Diego’s compensation pick for failing to sign Karsten Whitson (I believe he was diagnosed with diabetes and opted for college instead of going pro). By “tying” Cleveland (Washington gets the better pick because of a worse 2009 record), we actually jumped the compensation pick of Arizona, which is good news. There is sure to be some good talent in next year’s college pitcher rich draft at the #6 overall pick. (Early draft reviews show possibly guys like Gerrit Cole, Danny Hultzen, Matt Purke, or Taylor Jungmann at that spot). Plus, we may pick up another pick in the first round depending on the outcome of the Adam Dunn offseason (see a previous post here about Dunn’s current TypeB status). Full Reverse standings are here at mlbtraderumors.com.